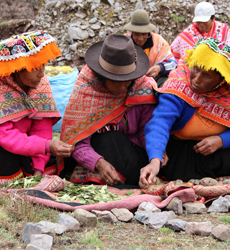 ‘Crops are not just the expression of genes, but are also the expression of spirits.’ - A participant in the Farmer Field School in Lares, Peru. Asociación ANDES and Oxfam Novib are running the SD=HS program in Peru. The Andes Mountains are much affected by the changing climate. Communities in the area are known for their respectful relationship to their environment, the fruits of the earth and the weather. 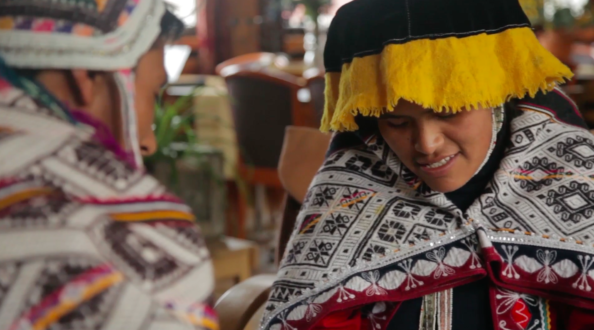 The SD=HS program in Peru is remarkable for its close collaborations between traditional communities and scientific and technical institutions and innovations. The installation of the ‘sand-ponic seed multiplication facility’ in Peru enables further strengthening and multiplication of diverse native potato seeds that are repatriated by the International Potato Centre (CIP) and the National Institute of Agricultural Innovation. The potatoes are also coming from the communities themselves, through Farmer Field Schools. 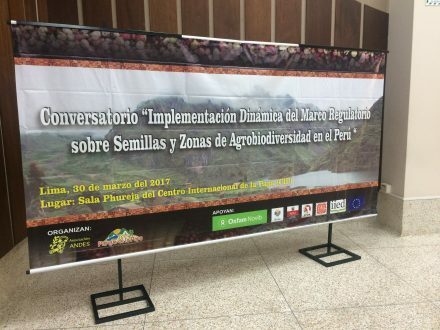 The alliance between local and international stakeholders in Peru is very important for ensuring sustained Plant Genetic Resource adaptation strategies. 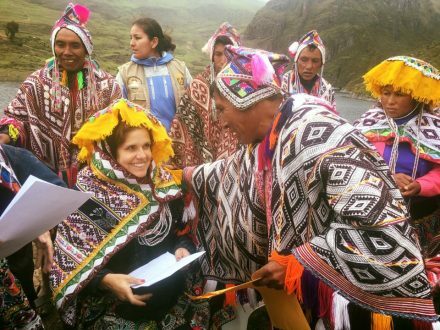 The collaboration between Quechua farmers, ANDES and CIP allowed 750 potato seeds from the Potato Park to be deposited in the Svalbard global seed vault in August 2015. This meant a combination of a centuries-old tradition with cutting-edge science to conserve plant genetic heritage for future generations. 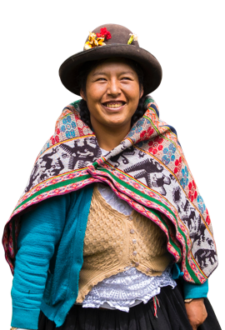 In Peru, the methodology for focus group discussions initiates a new dynamic of knowledge exchange about ‘Nutritious Underutilized Species’ between community members. The community members have complementary pieces of knowledge on the species. The Focus group discussions demonstrated the importance of having a range of ages represented among participants. Younger participants noted that they were not eating the forgotten species as much as their parents and grandparents used to, and, according to the discussion leader their health has worsened since these species have significant nutritional and medicinal value. According to her, this kind of open research, facilitated by the discussions, is very important for local cultural heritage and knowledge preservation. 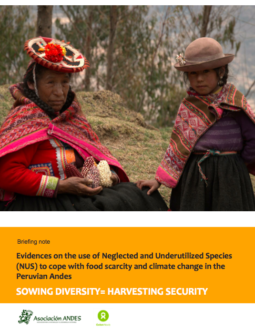 Evidences on the use of Neglected and Underutilized Species (NUS) to cope with food scarcity and climate change in the Peruvian Andes. Briefing note. © Copyright SD=HS. All Rights Reserved.